Isotopic values of consumer tissues have been used for several decades to investigate individuals’ dietary intake across a range of fields, particularly ecology and archaeology. In this talk, I will argue that many users of light stable isotope analyses at natural abundance underestimate the complexity of the processes that lead to their observed data, in particular at the metabolic level. I will outline some of the issues that confront us as we try to unravel the tangled web that is isotopic patterning in consumer data. I hope to demonstrate why a better understanding of this complexity matters to all of us using this technique, and to suggest a different way of viewing the processes that lead to the emergence of the isotopic patterning that we observe. This is the story of changes in the arid West, a tale of how a changing climate interacts with El Niño and Pacific Decadal Oscillation cycles to influence shrubs in Death Valley. Over the past four decades, the climate has warmed, but, more importantly, the region has experienced dramatic shifts between drought and wet periods driven by ENSO and PDO cycles. 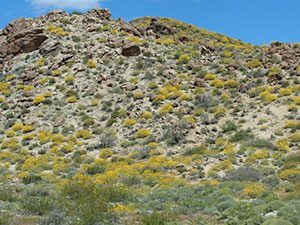 Here we describe birth, establishment, and death among three dominant perennial drought-deciduous shrubs (Encelia farinosa, E. frutescens, and Ambrosia salsola) during these past four decades. 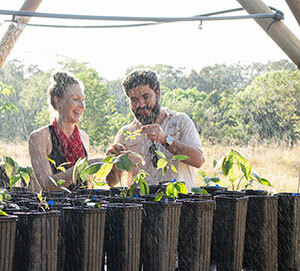 More than simply a tale of population-level life and death, we see how genetically distinct intrinsic water-use efficiencies differentially influence plant competitive interactions and drought survival. Forecasting future changes in regional moisture sources in the Pacific Ocean is central to understanding how and which plants will persist. Excavating 15 million years old proto-Amazonian mammals from the Pebas Fm (middle Miocene, Peruvian Amazonia). Image credit: R. Salas. 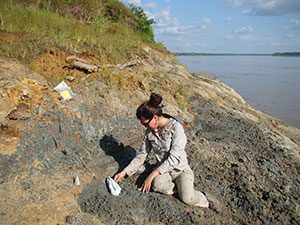 How have geological processes, climate change, and biotic interactions changed and shaped the structure of mammalian communities in Amazonia through time? My research addresses these questions by means of stable isotope analyses, a powerful tool to characterize ecologies and ecosystems, and applicable to both extinct and extant mammals. Answering those questions, however, is hampered by our biased understanding (towards Africa) on how mammalian communities in tropical rainforests are structured isotopically, and by long held assumptions on diet-bioapatite isotope fractionations across mammals. By experimentally analyzing Neotropical mammals never before assessed, and by working in a geographic setting never before studied, western Amazonia, my research has recognized patterns of isotope fractionation across taxonomic groups, and differences in the isotopic structure of mammals from analogous closed-canopy rainforests. Symbiotic nitrogen fixation is a major nutrient input the biosphere, but understanding its dynamics is often hampered by inability to measure fixation directly, especially in trees. δ15N provides a useful tracer of fixation, but conventional interpretation relies on many untested assumptions about plant physiology and ecosystem dynamics. Fine-scale isotopic sampling (which tracks the movement of nitrogen from the soluble soil pool through plant tissue) overcomes some of these limitations. Application in a subtropical woodland reveals new temporal patterns and environmental controls on fixation, as well stark physiological differences in N processing between woody species. This method can be applied to test hypotheses about N fixation in otherwise-challenging systems. C4 ecosystems are widespread throughout the subtropics. 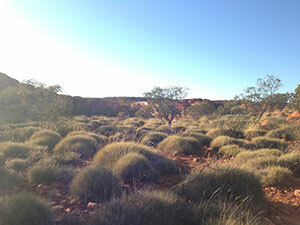 An example of a Spinifex spp. savannah in Northern Territory, Australia. Image credit: Allison Karp. Fire is crucial to maintaining modern subtropical grasslands, yet our understanding of the origins and evolution of this association on geologic timescales is limited, due in part to few co-eval records of both grass and fire proxies in the geologic record. The ambiguity of past ecosystem-fire dynamics impedes our ability to predict how these critical ecosystems may respond to the current changing climate. Polycyclic aromatic hydrocarbons (PAHs) are a suite of molecules that can derive from the incomplete burning of terrestrial vegetation. We developed a new biomarker approach that uses these compounds combined with the carbon isotopes of leaf waxes to constrain the relationship between fire and grassland ecology in terrestrial contexts during the late Miocene C4 grassland expansion on the Indian Subcontinent. Results suggest that modern feedbacks between fire, seasonality, and landscape opening were first initiated in the late Miocene. Further use of this novel approach can address how regional differences in fire dynamics contributed to the globally asynchronous Mio-Pliocene grassland expansion, as well as other terrestrial ecosystem questions in earth history. Radiation of mycalesine butterflies. Image credit: Erik van Bergen. Adaptive radiations comprise the differentiation of a single ancestor into an array of species that inhabit a variety of environments and differ in the morphological and physiological traits used to exploit these ecological niches. Ecological opportunities for differentiation may arise as a consequence of biome evolution and one of the most dramatic examples of biome shifts in the geological record is the origin of tropical savannahs and the replacement of C3 vegetation by C4 grasslands during the Miocene. 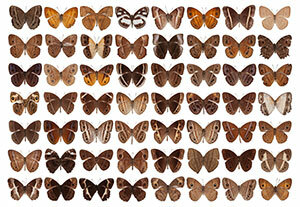 Tropical butterflies belonging to the Mycalesine subtribe have radiated spectacularly to produce more than 300 extant species which occur in almost all extant habitats across the Old World tropics. Thus, these butterflies are excellent candidates to explore the evolutionary impact of these C3/C4 shifts on insect grazer communities. Reliable host plant data is essential to be able to address this question but detailed host plant records for the – nearly always – grass-feeding mycalesines are very limited. However, over the last three decades stable isotope analyses have become an important part of the ecologist’s toolbox. Firstly, we used a community of three sympatric species of Bicyclus in Malawi to demonstrate that the feeding history of mycalesine larvae on C3 and C4 grasses can be traced by analysing δ13C in the organic material of the adult exoskeleton. In addition, we started to examine the larval feeding preferences, in terms of C3 and C4 grasses, in a phylogenetic-ecological framework. By mapping the data of this large scale isotope survey and the current habitat preferences of Mycalesine butterflies onto the phylogeny, we are now able to reconstruct whether shifts to C4 grasses were associated with the colonization of tropical savannahs and other open, sunlit environments. Pete Homyak establishing plots at a new precipitation manipulation experimental site. Drylands cover ~40% of the land surface and are often characterized by widespread N limitation. One would expect drylands to tightly cycle N, yet they can lose N as if N saturated. 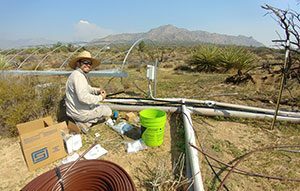 Because drylands are projected to increase in distribution, and even mesic systems can experience drought, understanding how dry conditions influence N loss is critical for predicting changes in ecosystem nutrient status. 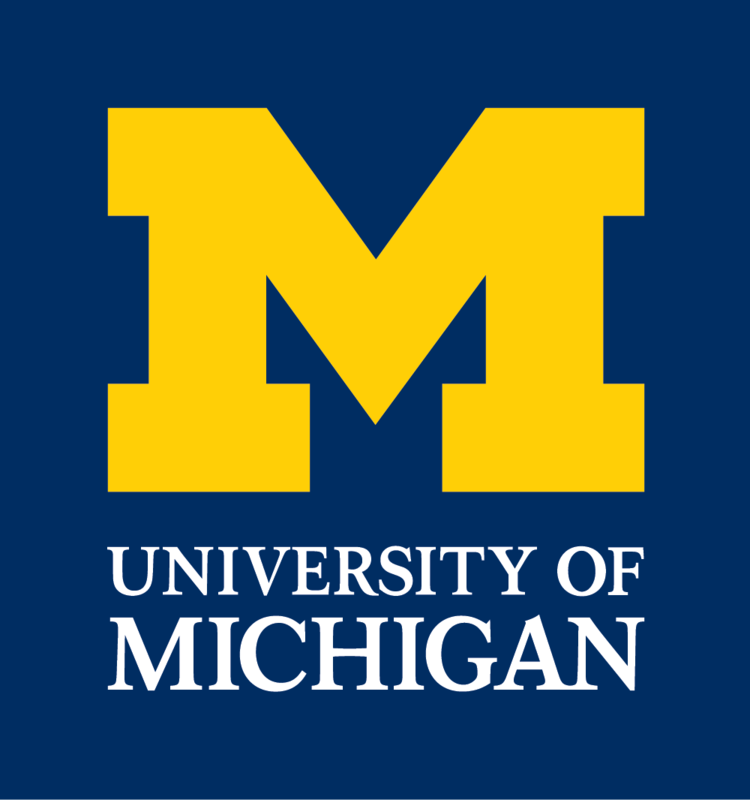 In this talk I will 1) discuss how dry conditions can break down the transfer of resources between microbes, allowing metabolic handoffs to leak independent of biological demand and 2) demonstrate this concept using two approaches: i) dual isotopes and ii) microdialysis probes that capture soil N transformations non-destructively and at high temporal resolution. 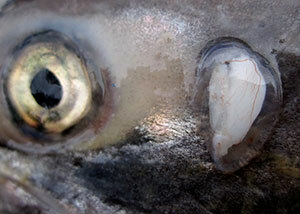 Adult Chinook salmon otolith (ear stone) within its endolymphatic sac. Image credit: Sean Brennan. Free-flowing rivers are complex mosaics of habitats whose conditions vary across space and time as landscape features filter overriding environmental forcing. Yet, the extent to which the reliability of critical ecosystem services (e.g., fisheries) depends on shifting habitat mosaic dynamics remains uncertain. Central to quantifying their importance to fisheries, for example, is being able to reconstruct production and movement patterns of migratory fish across the continuum of spatial and temporal scales that characterize their ecology. Using 87Sr/86Sr ratios recorded in the ear stones (otoliths) of salmon, we show how the relative productivity of locations across river networks varies widely among years with respect to both i) natal sources and ii) total freshwater growth. These shifting patterns play out across a wide range of nested scales of space and time, and ultimately stabilize the year-to-year production of fish at the scale of entire basins. This work demonstrates the importance of conserving not only the obvious dimensions of biological diversity (e.g., locally adapted populations and life histories), but also the processes that generate and maintain them over ecological and evolutionary timescales.